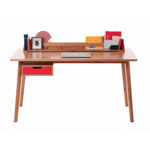 Victor from French brand Harto is a small home desk in high quality oak veneer. 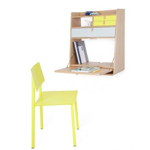 Its small width but large depth enable Victor to fit everywhere while offering a very comfortable space to work. 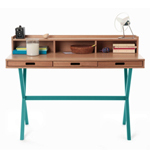 Its two large drawers will host all your documents & material to work on a tidy table.